I'm so excited to participate in this Lucky You Blog Hop! Each AMAZING blogger in this hop is giving away a freebie for you to download! 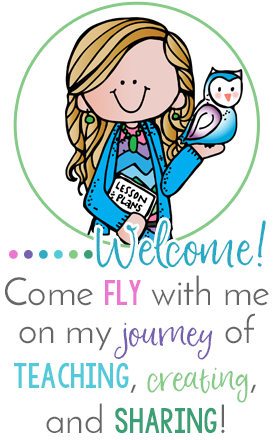 Be sure to hop on over to each blog to download your freebie! At the end of each blog post, there will be a blog button for you to click on and "hop" on over to see what other goodies are waiting for you! This year, I am feeling lucky that I made the move to my new school! I was nervous to make the leap, but I am so glad I did! I was also nervous to teach my first combo. I had gotten away with not teaching a combo for 19 years, but if I wanted to get hired at my new school, that was the only position available, so I jumped on it. I never understood how you could effectively teach two grade levels with two different curriculums. Guess what? This is the best year of my teaching career! I love the combo! When it's built correctly, you have very independent students, and very few behavior issues. You can actually TEACH! I have enjoyed teaching this group and seeing how far they have come since the beginning of the year. I have been allowed to teach creatively and provide tons of enrichment. It has been an amazing year! I love it so much, that I'm hoping for another combo next year! Now for my freebie! 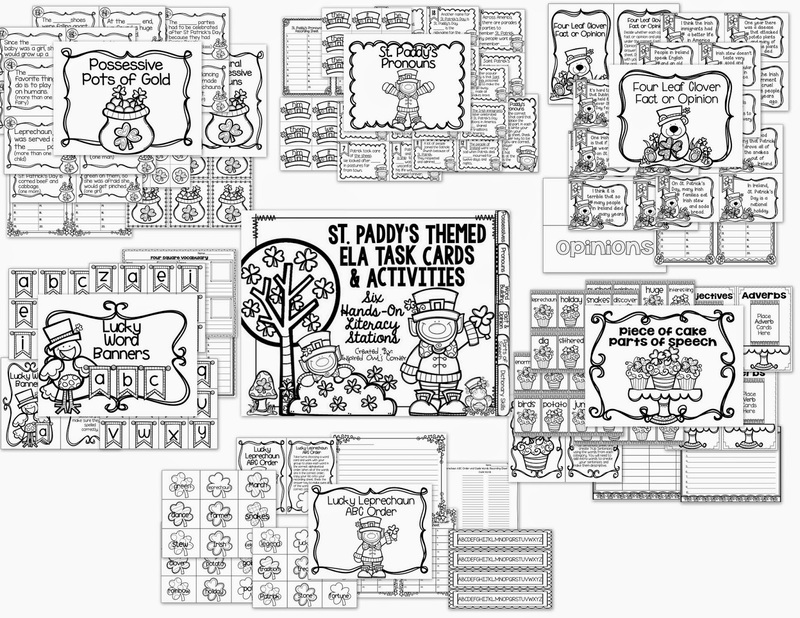 This singular and plural possessive nouns task card set would be perfect for your 2nd-4th grade students. Students can work in a small group with you or without you, in pairs, or independently. 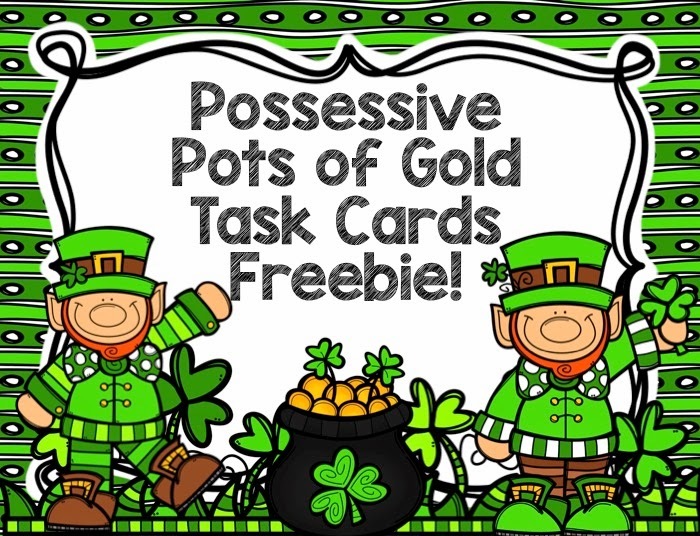 My students love it when I put the task cards in a cute St. Patrick's basket or bag for them to draw from! I give them little plastic pots and put a pile of plastic gold coins in the center. If students answer correctly, they get a gold coin to place inside their pots. This turns the practice into a game-like competition, and they love to see who can get the most gold coins. I've included color and black line copies for your printing needs. Click on the picture below to download your freebie! 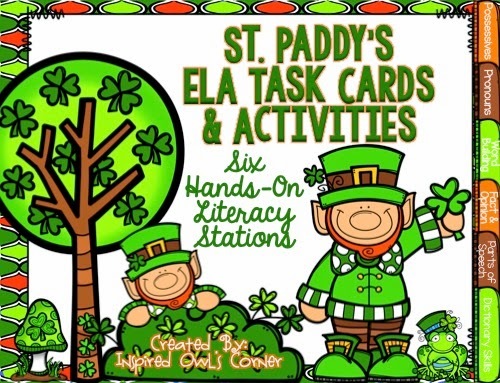 This freebie is part of my St. Paddy's ELA Task Cards and Activities pack that you can see more closely by clicking on the pictures below. Have you ever "Leprechauned" your class before? 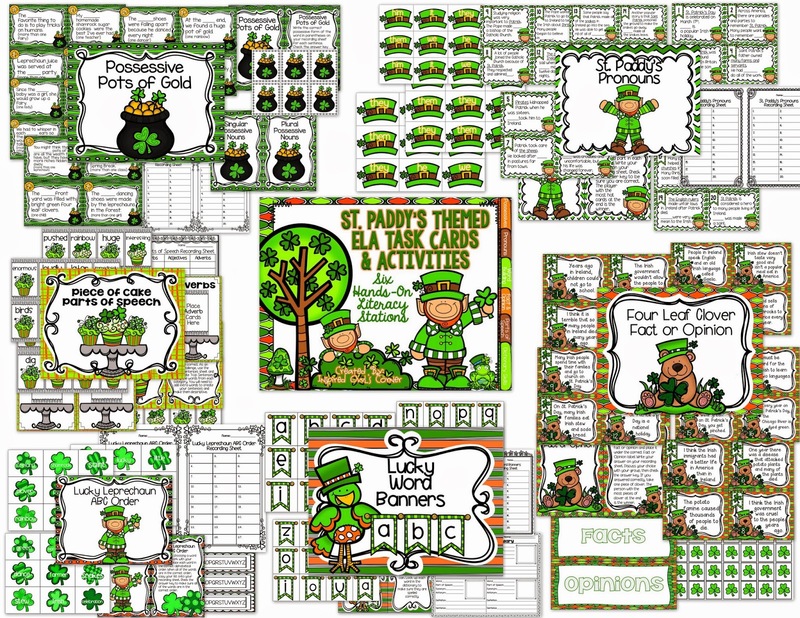 Be sure to check out this blog post for more St. Paddy's Day Freebies and fun ideas! This is EXACTLY what my ELLs need! Thanks a million! I am glad that your move has been such a positive experience. This is my first year at a brand new school too and it was a scary decision to move but it has worked out well. I have been using the gold coins and little pots for math and the students love them. Thanks for sharing another way to use them!! Thank you for the possessive task cards! The kids can never have enough possessive practice. My kids definitely need possessive practice & not just my EL students!! I'm glad you're having such a positive experience with a combo class!! Thank you!! I love the whole coin/bucket idea! Sounds way too fun! Thanks for sharing! Thank you for this FREEBIE! This is going to be a great review for my 4th graders. First off, EXTREMELY EYE CATCHING blog and header!! Similar to my colors, I just may have to stink some pink in there! Lol... seriously beautiful!! I love these cards! We practice this all year long but my students always need extra practice!!! Thanks so much! !